Why are you launching Technique Music Academy? I came up with the idea at least four or five years ago of trying to give something back to the electronic music industry that I’ve been lucky enough to work in for thirty years. We were getting a lot of demos – DJ demos, production demos, whatever it might be – and emails all the time asking, how do you do this, how do you get your drums like this, how do you get a booking at this place? I just felt that with so many people reaching out and seeking advice, wouldn’t it be great to set something up where they could tap into the knowledge? What are you looking to achieve with TMA? It would be great to pass our knowledge onto anyone who wants to embrace it and learn how they can take their music to the next level. Whether that’s for a professional career, or whether they just want to play some tunes for their friends at the weekend or have a dabble with production in their spare time. What can people expect to learn? There’s a lot to the art of the DJ – selection, mixing, reading the crowd – we’ve spent years fine-tuning. Equally, from a production point of view, technology has changed so much in thirty years, and we [Drumsound & Bassline Smith] have spent a long time working hard at crafting our sound and the methods that we use. 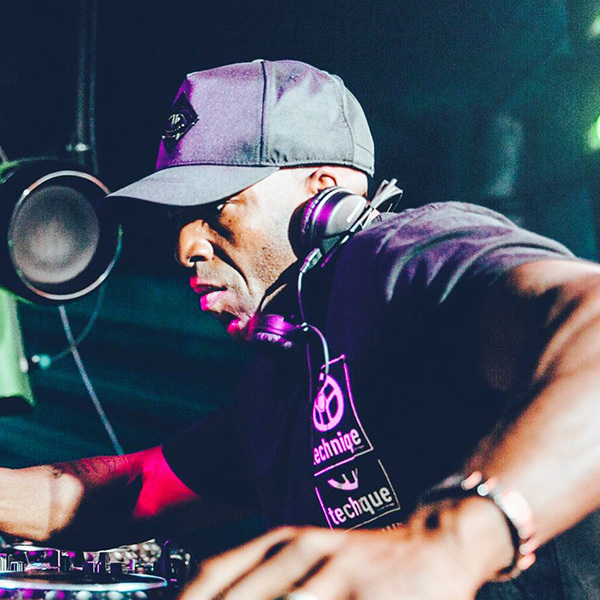 Then, on the vocal side of things, Youngman has been a singer since school, then he’s hosted for people like Benga and Skream and Wilkinson amongst others, then moving to LA and writing for Britney Spears and loads of other huge artists… The whole Technique family has got so much to offer. Who will be the tutors? I’ll be teaching the DJ and Music Business courses. Andy Drumsound is covering the production side of things, then, obviously, Youngman will teach the vocal courses, including his VIP Mentoring option. He’s been around some great people, and he’s got knowledge on things that he’s taught me over the last ten years. Will people have to attend the courses in person? The idea is that the production courses will be one-to-one with Andy. We’ve got the studio set up so he’s able to share screens with students. So, not only will we be able to share their screen, they’ll be able to see what we’re doing. They’re going to be one-to-one via Skype. Youngman’s courses will be either one-to-one via Skype or the student can travel to Youngman’s studio. The DJ courses will be in the studio with me, but also we’ll do some Skype sessions in between. So it’s really flexible. Are there any other courses you’d like to start in future? We’re definitely open to seeing where it takes us, but I’ve got one eye on adding more tutors around the country. That way our tentacles can have a wider reach… and I’d like to do some one-day group seminar type things. Is there a possibility of students releasing their music through Technique Recordings or playing at Technique events? If someone signs up to the course, I feel that we’ll have an ongoing relationship with that student. If such a time comes when their skills reach a level in production, or vocally, or DJing, then for sure, we’d look to give them that opportunity. I’d like to get some releases from these students when their skills have reached a level where they’re releasable, or performing at our Takeovers… that would just prove that the courses do work. Check out all the courses on offer at Technique Music Academy.